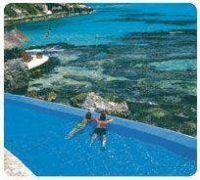 A full day of Sun and activities awaits you at Royal Garrafon, where you can snorkel, relax and enjoy the beach. 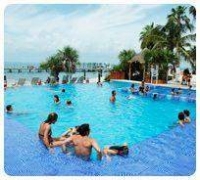 Exciting activities with dolphins, domestic open bar on the beach, fun water activities, and much more. A family-friendly tour that invites you to enjoy fun activities with a docile dolphin, and the Garrafon Park´s facilities. 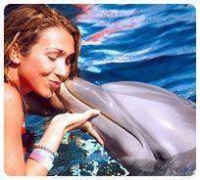 Live the unforgettable experience of swimming with dolphins, a complete and fun programme in Isla Mujeres. 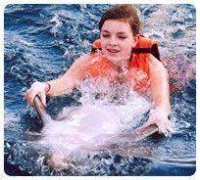 Thrilling activities with dolphins, interaction with docile manatees or sea lions, unlimited international drinks, and much more. 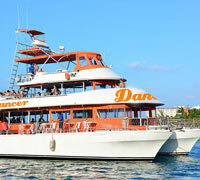 Sail to Isla Mujeres on board a modern vessel that includes open bar, meal, sunlounges, water slide, and the best music. 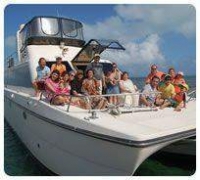 This tour offers you a pleasant trip to Isla Mujeres aboard a trimaran, an encounter with a cat shark and flight on a spinnaker sail. 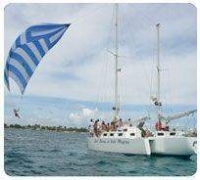 Spend a day at sea, sailing on a catamaran and snorkeling in the Caribbean waters.